#NASAInKapsabet : Raila Odinga in Nandi County makes NASA stronger as Jubilee continue with Inside cold war with independents candidates. - Bana Kenya News, Real African Network Tubanane. 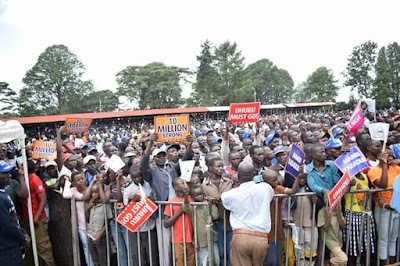 Home featured News #NASAInKapsabet : Raila Odinga in Nandi County makes NASA stronger as Jubilee continue with Inside cold war with independents candidates. #NASAInKapsabet : Raila Odinga in Nandi County makes NASA stronger as Jubilee continue with Inside cold war with independents candidates. Raila Odinga and his NASA team will be heading to Nandi County. Nandi is alleged to be the home of Jubilee but things keep on changing. People are tired of being lied because the earlier promises have not been fulfilled now the Jubilee government is adding more promises. 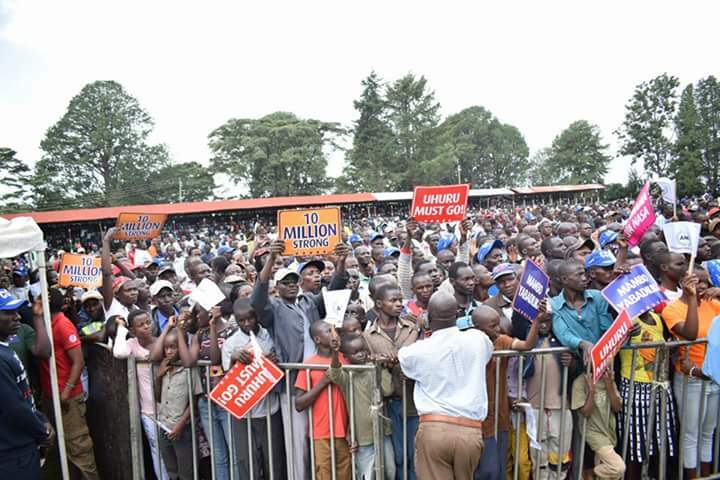 The NASA Presidential flag bearer Raila Odinga is expected to address the people of Kapsabet in Nandi county. The Nandi Hills Mp Alfred Keter has been in the forefront telling the truth to the Jubilee government but seen to criticizing it. He talked of Anne Waiguru being corrupt when she was the Devolution CS and later she resign because of the NYS scandals. Yesterday the Uasin Gishu governor Jackson Mandago with MPs Oscar Sudi and Alfred Keter said that the Jubilee party should look for ways on how to handle the independent candidates or else they will only look for their votes and live to the people to decide the rest. President Uhuru Kenyatta has been able to bail out Central Kenya farmers leaving Rift Valley people worried with their debts and produce. Raila Odinga is expected to address the issue on farmers and the reduced price of Tea and coffee. It was earlier speculated that tea was being sold to the companies at Ksh. 22 then the Jubilee Government dropped to Ksh 14 from the farmers. NASA is expected to give an alternative to the looting government come August 8. #NasaInKapsabet how can uhuru bail out the Mt. Kenya farmers and leave those of kericho and Nandi countries! Ruto can't help his people!